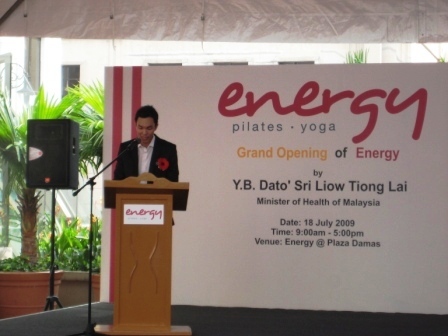 The Energy Yoga launch held over the weekend on 18th July 2009 was a big bash! 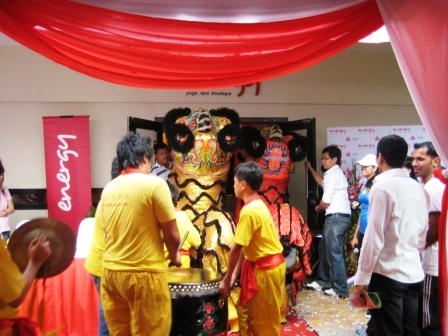 It was a day filled with exciting activities such as yoga performances, a memorable speech from the Health Minister Dato’ Sri Liow Tiong Lai, ribbon cutting ceremony and a feisty lion dance, to name a few. The event was held at the courtyard just in front of Energy Yoga at Plaza Damas. Lots of people and members of the media were already there by 9.45a.m. 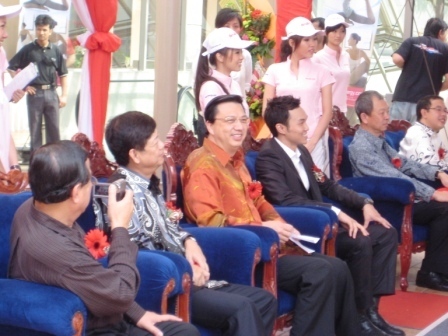 Soon, the guest of honour, Health Minister Dato’ Sri Liow Tiong Lai arrived and the event pushed off. 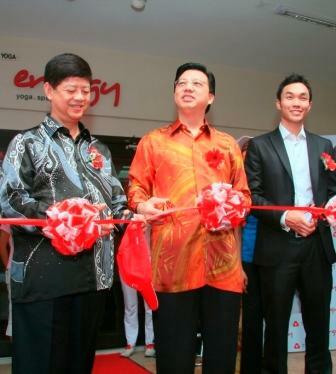 Michael Lee soon took to the stage to give a short speech on the newly-opened Energy Yoga. 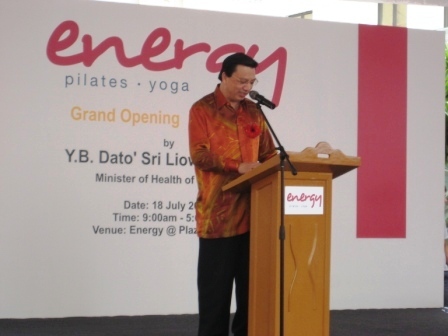 This was followed by a group performance on Pilates, headed by Ken, Chief Instructor of Pilates in Energy Yoga. 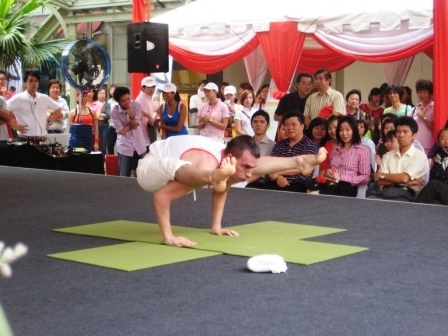 After their energetic performance, Matthew, a resident yoga instructor, got the crowd fired up and clapping their hands with his impressive solo performance. Following this, resident yoga instructor Jenny strutted her stuff and got the crowd even more excited with her mind-blowing solo performance. Jenny performing a variation of a seated pose. And while all these were happening on-stage, fun stuff were going on off-stage too. 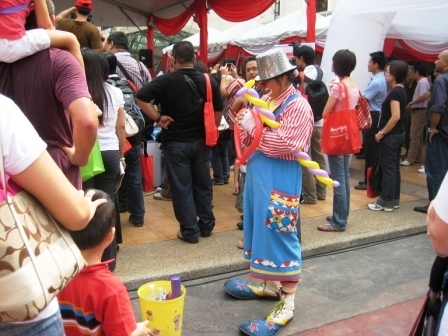 They had a balloon-blowing clown to ensure younger guests were entertained. Bozo keeping the kids happy and preppy! After the amazing performances, it was back to more serious stuff, with speeches from Mr. Lim Tze Thean and Dato’ Sri Liow Tiong lai. 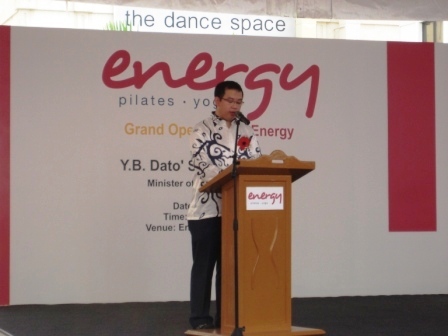 The Health Minister stressing on the importance of health and exercise, and how to fit it into our daily regime. The pictures are very nice, where can I find more pictures of the event?